I started my blog a few months ago just as naive as a person could possibly be. I didn’t read any blog regularly and would really only read a blog if someone shared a post on my Facebook timeline. 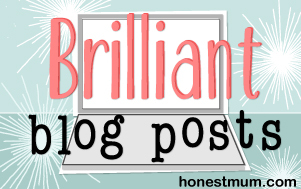 A few people suggested to me from time to time that I start a blog but I kept brushing them off. I didn’t really know the first thing about blogging. Plus in school, I didn’t really like writing. Why would I willingly start writing now? After hearing several people explain how writing a blog was not to be compared with writing an English term paper and realizing I enjoyed posting some longer Facebook posts, I decided to take the plunge. I started a free blog and wrote in secret for 2 weeks just in case I hated it. Turns out I did kinda enjoy it and I eventually let it be known I had a blog. As time had past I realized I had no clue what I was getting into and it began to take up more and more of my time. My TV watching really began to take a hit. I’m entire seasons behind on some of my favorite shows. I have no idea how I’m going to ever be able to catch up. I also found out you have to read all these other blogs. Dozens and dozens of other blogs. It’s sort of a blogger courtesy; you read my blog I’ll read yours. Aside from the incredible amount of time this takes up, some blogs are really bad. Like really bad. Not that I want to go around judging people but sometimes it looks like the person didn’t even try. Like this blog for example or this one. You have to wade through the bad ones to find some real gems! Did you really just click on those links to try and see a terrible blog? You should be ashamed. I mean honestly. The other thing that keeps happening to me is that every time something even remotely funny happens everyone around informs me I’ll have to make a blog post about it. You wouldn’t believe how many things are only funny if you were there. The thing that trips me out the most is when acquaintances will tell me they have read my blog or while we are talking they will randomly start a sentence with “It’s like that one post you made…” Wait, wait, hold on. You’ve read my blog? Thanks for never leaving a comment anywhere ever or even giving me a lame “like” when I share my post to my Facebook page. I had absolutely no idea you were reading my blog. But I’m honored. Until next time, you have yourself a great week. And please don’t forget, if you are so inclined to do so, you can click on the Top Daddy Blogs logo below or in my sidebar once a day to vote for me. Thanks. Before I had kids I took so many mundane tasks for granted. Staying home and watching 4 kids has taught me a valuable lesson about appreciating the simple things in life. Below I have compiled a list of some of the things I used to take for granted.